We provide tunnel freezers for vegetable and fruit creating a frozen product preserved in its natural shape, color, smell and volume for a natural appearance. Our IQF tunnel freezers are the optimal solution for maximizing your productivity. Our ProEx Food Tunnels series PM includes capacities from 1700 to 3400 kg/h for green peas or 1200 to 2400 kg/h for strawberries. All tunnels of this series can be equipped additionally with Equipment for continuous frost removal from evaporators (UDS) providing a greater time of operation between defrostings. 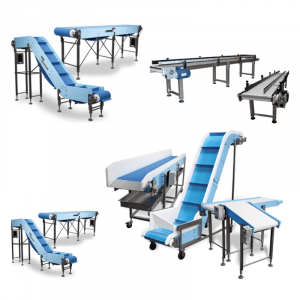 As standard operation you have a pulsator, which reinforces fluidisation effect and upgrades the quality of frozen product (IQF) and also external method of washing the first belt. The operator can activate the washing system of the first belt at any time. System can operate systematically or in automatic cycle. Ammonia NH3 (R717) is the main refrigerant or freon in case of smaller tunnels. In this series of tunnels, centrifugal fans have been installed which considerably advance the quality of fluidization. Tunnels can be equipped additionally Equipment for continuous removing frost from the evaporators (UDS), which greatly broadens the operating cycle of the tunnel between defrostings. 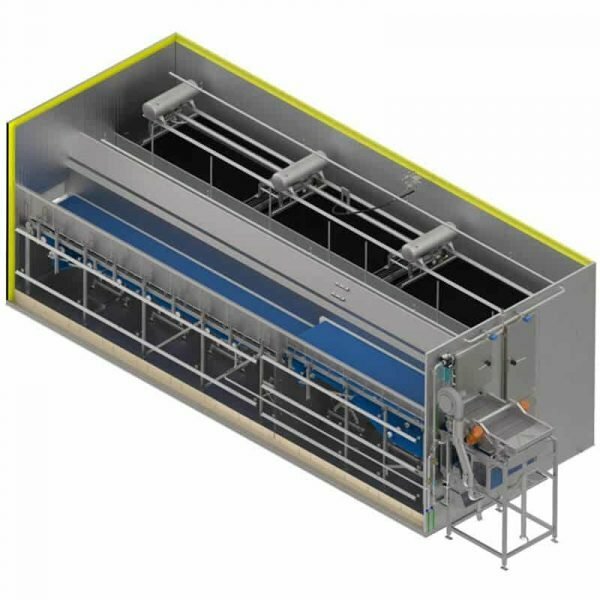 As standard operation you have a pulsator, which reinforces fluidisation effect and upgrades the quality of frozen product (IQF) and also external method of washing the first belt.